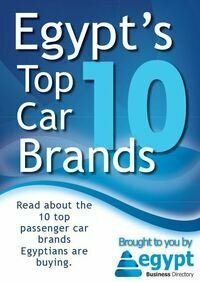 Among the 100 names there were 15 Egyptians of different industries and ages who are considered some of the most influential Arabs. Arabian Business released its guide to the world's most influential young Arabs. The list has 100 names of entrepreneurs, artists, media professionals and journalists under 40 who are changing the face of the Arab world. Among the 100 names, there were 15 Egyptians of different industries and ages who are considered some of the most influential Arabs. 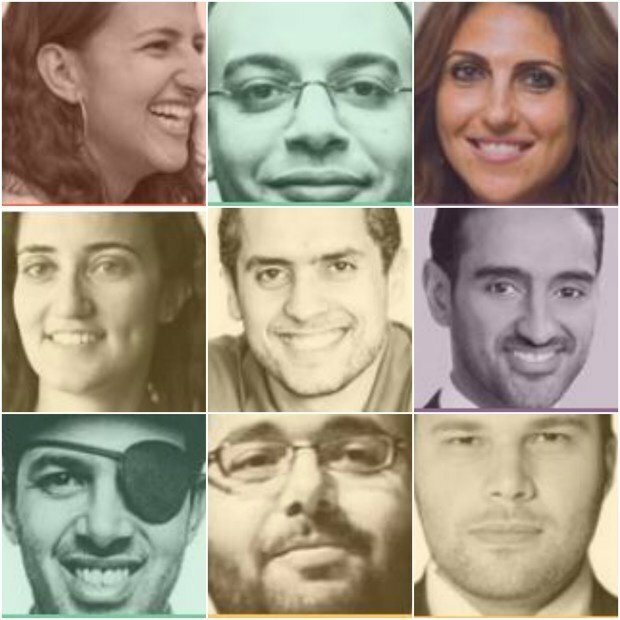 Here is the list of the 15 influential young Egyptians with their ranking and a short bio. 8: Seif Abou Zeid: A 33 year-old entrepreneur in the field of education. Abou Zeid is the CEO of Tahrir academy, a mind-stimulating learning experience for more than 150,000 Egyptians and Arabs. 11: Lina Atallah: 32 year-old founder of Mada Masr one of the most prominent news and opinion websites in Egypt. She was the editor-in-chief of Egypt Independent before it was closed down by authorities. 14: Yehia Abugabal: Co-founder of International Cancer Research Center in Cairo. The center serves the battle the disease in the Middle East region. Abugabal is 28 years-old and he made it to the Forbes 30 under 30 list. 16: Yasmin Helal: the 31 year-old entrepreneur and founder of Educate-Me. A startup that puts underprivileged children in school. Helal was a former professional basketball player for the Egyptian national team, she also worked with Omar Samra's wild Guanabana. 23: Waleed Aly: 37 year-old host of the nightly talk show in Australia, he's a lecturer at the Global Terrorism Research Centre in Monash University in Melbourne. He also served as the head of the Public Affairs for the Islamic Council of Victoria. 24: Dina El Mofty: founder of Injaz Egypt a startup that helped more than 500,000 students in Egypt with entrepreneurial and business readiness programmes. She also launched an accelerator to support students' best businesses. El Mofty is also the co-chair of the Women in Business Committee at the American Chamber of Commerce. 31: Hossam Bahgat: The 36 year-old is one of the most prominent investigative reporters and human rights' activists in Egypt. He was the founding executive director of The Egyptian Initiative for Personal Rights (2002-2013). He was also member of the boards of the International Network for Economic, Social and Cultural Rights and the Fund for Global Human Rights. 33: Jawad Nabulsi: Founder of Nebny foundation that offered medical assistance to more than 2,000 people who were injured in 25 January 2011 uprising. Nabulsi's eye was wounded in the uprising and he has to wear an eye patch. He refused an offer to become Minister of Youth and focused on people living in Cairo's slum areas, providing them with education, healthcare and small loans and business advice. His foundation was chosen by the World Bank to be one of its donor recipients. Nabulsi also received the 2011 Khalil Gibran Spirit of Humanity award and he is currently studying Management in the USA. 35: Mohamed El-Dahshan: A regional economist at the African Development Bank, non-resident fellow at the Tahrir Institute for Middle East Policy in Washington DC and professor of development economics at Ain-Shams University in Cairo. Dahshan also covered the 2011 revolution which earned him Anna Lindh Euro-Mediterranean Journalism award. He is also a consultant for several Arab governments and international bodies. All of this just at the age of 32. 43: Minoush Abdel-Meguid: The 39 year-old is the CEO, chief investment officer and managing director of Union Capital that funds SMEs in Egypt. Last year Abdel-Meguid was selected by the World Economic Forum as the 2015 Global Young Leader. She is also the founding president of the Egyptian Young Bankers Association, an NGO that supports young bankers. 45: Radwa Rostom: a 28 year-old civil engineer specialized in financial construction. She is the founder of Hand Over, a party of Ezbet project that is supported by the Egyptian government that aims to improve life standards in Cairo slums. She also served as business development manager at WeForest and training and CSR specialist at Egypt's Solar Energy Co.
52: Ayman Mohyeldin: A foreign correspondent and news anchor for NBC news. He also worked for Al Jazeera and CNN. He was one of the first western journalists authorized to report on Saddam Hussein's trial. He covered the Egyptian revolution in 2011 for Al Jazeera English. Mohyeldin is also the host of the digital show Road Map. 57: Mona Seif : co-founder of the campaign No Military Trials for Civilians, pushes for release of detainees of the 2011 revolution. She also manages a blog called Tahrir Diaries, diaries under military rule. She was the finalist for the Front Line Award for Human Rights Defenders at Risk and also for the Martin Ennals Award for Human Rights Defenders offered by Human Rights Watch . 71: Omar Samra: The first Egyptian to climb Mount Everest and the seven summits and ski to the South and North poles. Samra is the founder of Wild Guanabana that offers an ethical and adventurous travel experience with offices in both Cairo and Dubai. 91: Sherine Abdelwahab: An Egyptian singer and actress, she started in 2000 and since then has been a sensation in the Arab world. She is also a judge and coach on Arabic version of The Voice.